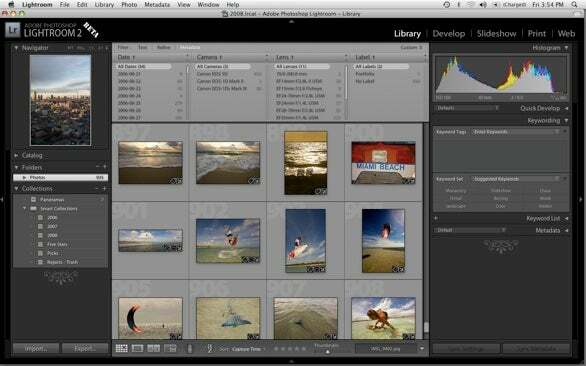 Adobe on Wednesday announced the Photoshop Lightroom 2.0 beta program, following up on the successful beta for the first version of the photography workflow application. Lightroom 2.0 beta will include many enhancements including being the first Adobe application to support 64-bit for Mac OS X 10.5 Intel Macs. New features like Suggested Keyword aim to make the mundane task of keywording images more intuitive. The application suggests keywords based on your keywording habits. For instance, If you go to the beach and always take your dog, when you enter the keyword “beach,” Lightroom will probably suggest “dog” as the next keyword. Lightroom 2.0 beta also includes a feature called Smart Collections that automatically updates collections with images that match criteria such as star-rating, keyword or other metadata. This feature works very similar to how Smart Playlists work in Apple’s iTunes. Another highly requested feature that has been included Lightroom 2.0 beta is dual monitor support. The Develop module has also been updated to provide the ability to correct specific parts of an image without affecting other areas. In addition, techniques like dodge and burn can now be done nondestructively in the new beta. Adobe first unveiled Lightroom 1.0 in January 2006 as a public beta and begin shipping the finished product in February 2007. Adobe said in that time the beta was downloaded 1.5 million times. 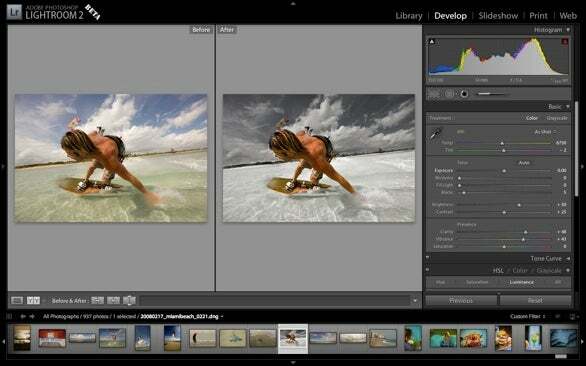 Lightroom 2.0 beta is available as a free 30-day download. Existing Lightroom 1.0 customers will be able to test the beta for an extended period until August 31, 2008 and can invite friends to take part in this trial period. Recommended system requirements are Macintosh OSX 10.4, 10.5 1 GHz PowerPC G4 or G5 or Intel-based processor, or Microsoft Windows XP SP2 or Windows Vista Home Premium, Business, Ultimate, or Enterprise, Intel Pentium 4 processor, 1 GBRAM and a 1024x768 resolution screen.